Warren Buffet's company Berkshire Hathaway is buying Precision Castparts in a $37.2 billion deal. According to a statement released Monday, Precision Castparts (PCC) shareholders will get $235 per share in cash — a 21% premium to the stock's closing price on Friday. Various sources have now reported this deal. In the statement release, Berkshire Hathaway chairman Warren Buffett confirmed that he had long admired PCC operations for a long time calling them the supplier of choice for the world's aerospace industry, and one of the largest sources of American exports. This acquisition would be the biggest ever for Berkshire Hathaway. me, but this one doesn't. We're certainly paying a very good price." PCC is based in Portland, Oregon, and manufactures some of the metal components that go into aircraft engines and industrial gas turbines. The company earned $10 billion in revenues and net income of $1.5 billion during the 2015 fiscal year. 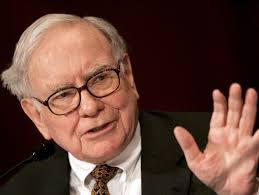 Buffett told CNBC that aerospace and oil and gas would be "good businesses" even after the crash in oil prices. Following this monster acquisition, Buffett said he would probably be buying a few smaller companies in the next six months and was in negotiations. $193.94, and they are down 17% for the past year.